It is totally necessary to pamper oneself every once in a while. Everyone deserves some time to travel, unwind, and step away from everyday ordinary. One of the best ways to do so is camping or camping's more sophisticated relative - glamping. 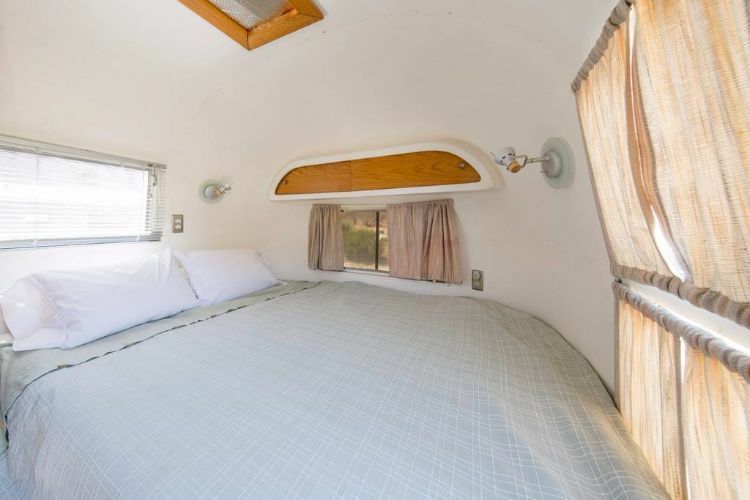 When visiting this restored 1963 Airstream Tradewind, you will be living life to the fullest. 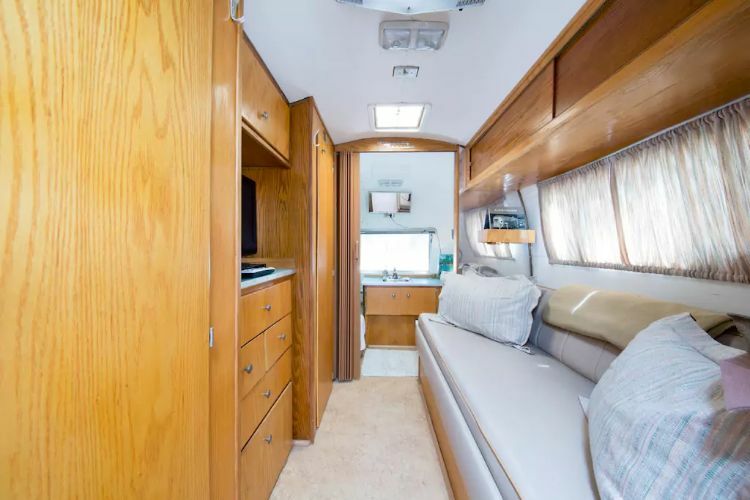 This gloriously minimal Airstream is available to rent through Airbnb. 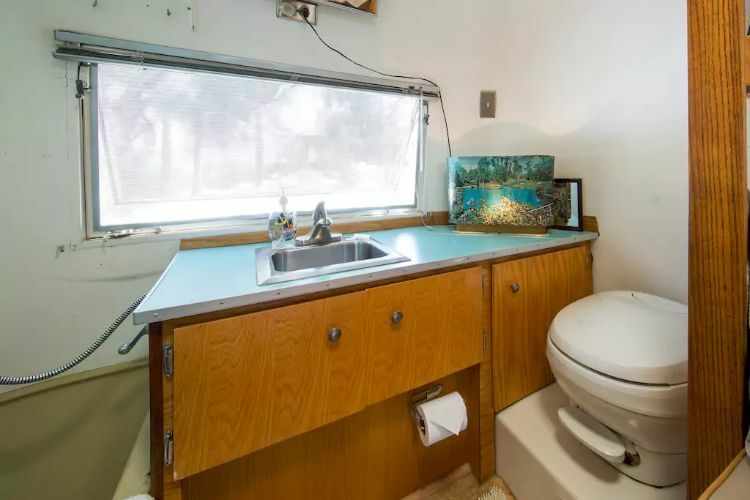 If you think the interior of this RV is beautiful, wait until you see the landscape it sits on. 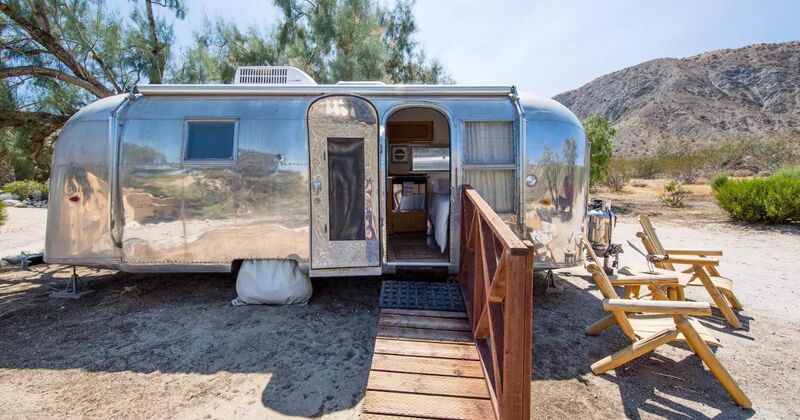 The Airstream is located on a nature preserve in Whitewater, California, allowing guests to enjoy awe-inspiring views of the mountainous, desert terrain from each window. 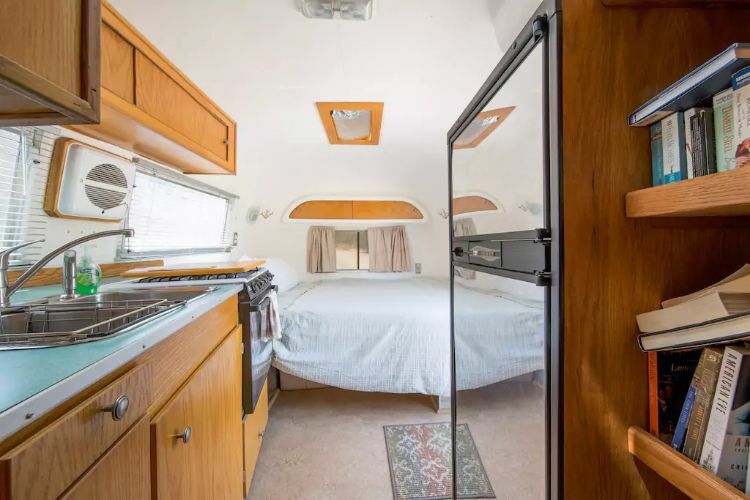 This Airstream has a perfectly clean and pure aesthetic. There is no unnecessary clutter, and everything has its place to ensure a vacation free from distractions. The layout is very open and there is not a private master bedroom, making this getaway ideal for a couple or a solo adventurer. It's going to be hard getting out of this cozy bed in the morning, but then again, no one said you had too. 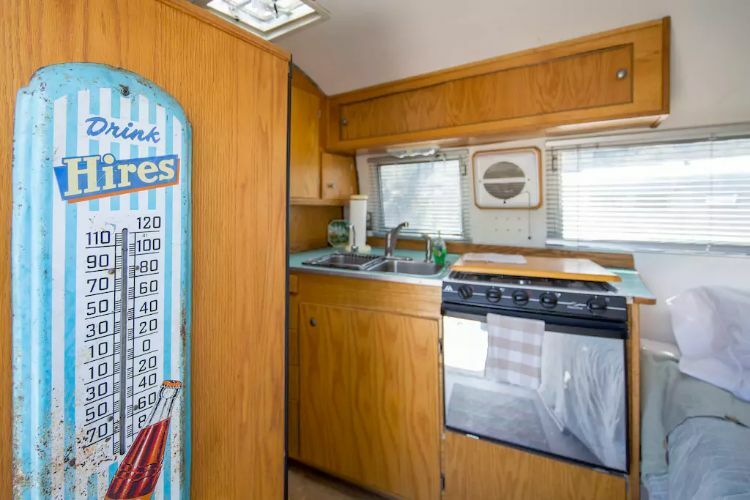 The kitchen is compact and has the amenities to cook. However, the hosts would rather you step away from the kitchen and enjoy yourself while they prepare you a gourmet breakfast. ...or you can make your way straight to the lodge's hot tub.